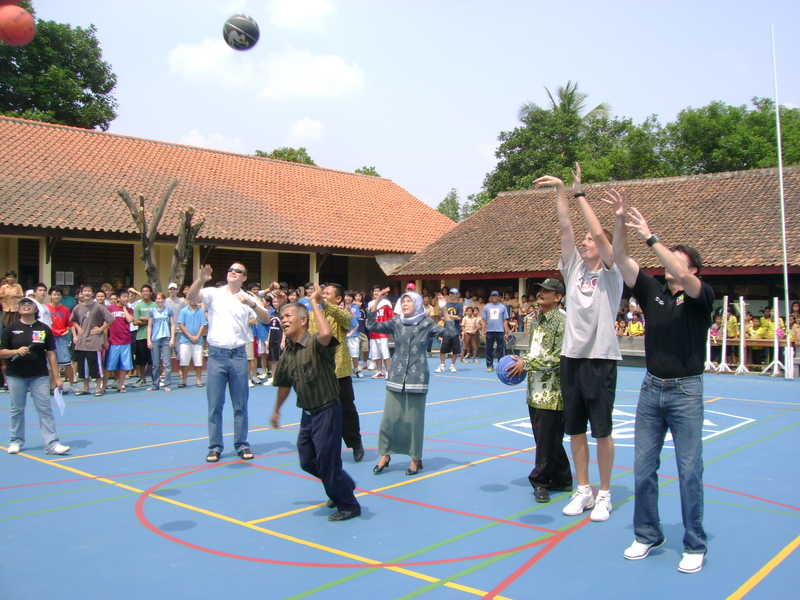 In August, 2007, we took a team of 11 volunteers from Southwest Washington and Oregon to Binong, Indonesia to build a basketball/volleyball/badminton court. The community of Binong is a poor community made up of ethnic Indonesians who are predominately Muslim. Neighboring this community is Lippo Karawaci, a wealthy community, made up of Chinese-Indonesians who are predominately Christian. Hence, the differences in this part of Indonesia that sometimes lead to conflict are religious, ethnic and socio-economic. Furthermore, the kids have no association with each other to help break down these walls. 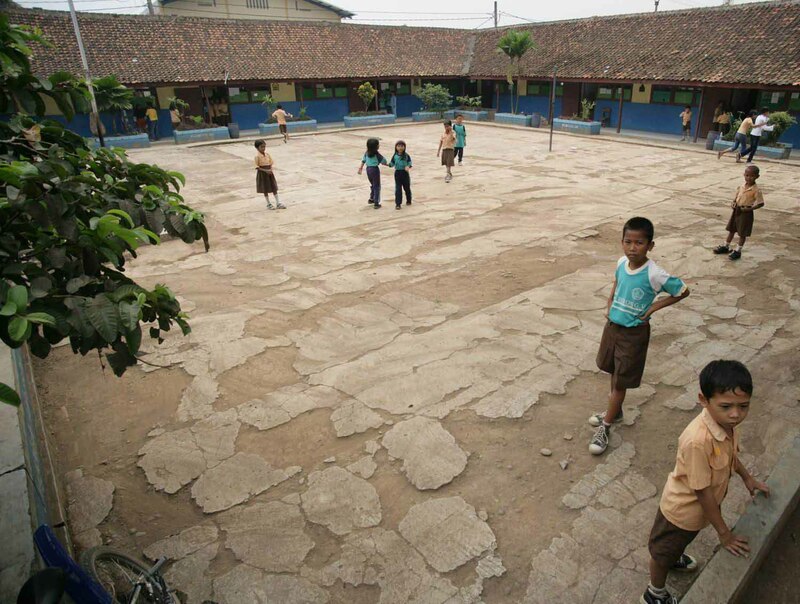 We were contacted by a school in Lippo Karawaci who started a sports league where the rich, Christian kids play basketball and soccer with the poorer Muslim kids in youth leagues. They are using sports to build bridges between cultures by connecting kids. As an extension of this league, Courts for Kids came and built the court for one of the schools whose kids participate in this league. Thus, this court not only gives these kids a place to play, but also is part of a bigger movement to build peace and goodwill through sport. Below are pictures of the before and after shot of the court.